Andrea is a native of Northern Virginia, having grown up in Fairfax county. 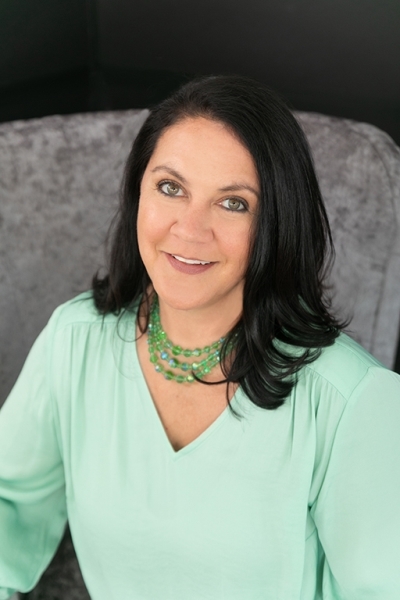 She was a teacher in Arlington County before having her children, who she and her husband raised in Loudoun County.As on of the top 5% of agents, nationwide, Andrea understands it's referrals from highly satisfied clients that has built her business over the years. She cherishes her role as wife and mother to her two college-aged children with her commitment to the needs of every one of her clients. With deep roots in the local community, Andrea can help you to really evaluate the lifestyle options such a richly diverse region has to offer. Whether you are looking for your first home or selling your fifth, Andrea is your guide to making that transition a smooth one. Simply call or email her for a prompt response. "I can't say enough good things about Andrea. She was fantastic through the whole buying and selling process. I always felt that she was there for us and I was able to reach out to her at any time. She was both knowledgeable and professional. I will highly recommend her to everyone I know. In fact, at this point I would like to consider her a friend! Please say thank you, thank you and thank you to her from us!" " Our needs were not ordinary and the time frame in which we needed to act was extremely fast. That being said, we feel that Andrea McSorley exceeded our expectations in providing unmatched service and professionalism securing our new home. The pace of life is fast and our families are moving in many different directions. Andrea showed great patience in seeing us through many different options, lifestyles, locations, school districts, etc. Ultimately, the goal is to close the deal with as little anxiety or emotion that comes along with buying a new home. We feel blessed to have Andrea by our side and look forward to referring her new business. " "A little over a week ago I believe I had more stress in my life than I have ever experienced at one time. I couldn’t possibly imagine how to express my gratitude to you for taking this entire process in stride, with a level head, and landing my family squarely on its feet. I’m not the best at telling people how I feel. The one thing I can say is that your grace, patience and genuine heartfelt caring for my family has been overwhelming. I’ll back you up as I would my own sister if there is ever anything you would need. I just can’t say enough."